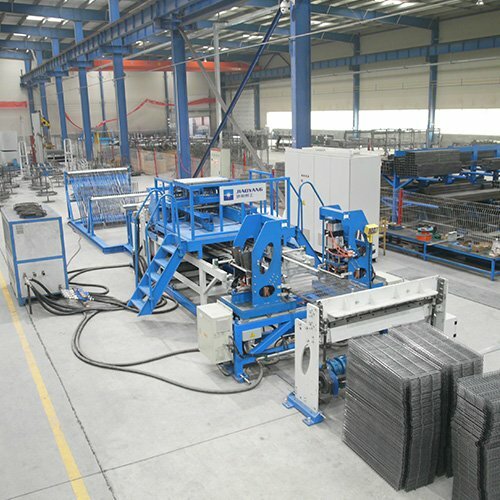 Jiaoyang’s Shelves Mesh Welding Production Line is a production lines for wire shelving system. 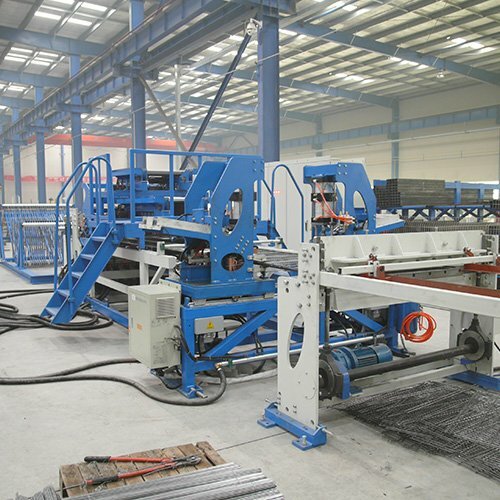 Shelves mesh welding production line,Its main features are: to realize the continuous production of shelves network, the production efficiency is higher than traditional pendulum wire more than ten times. 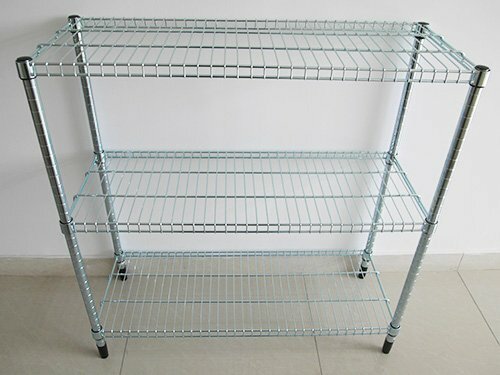 1.This machine can be used in the production of shelves mesh. 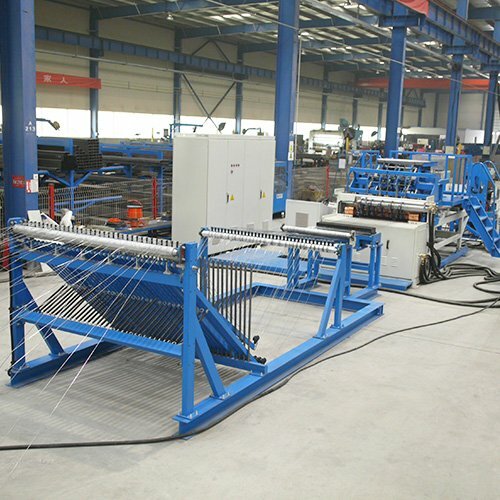 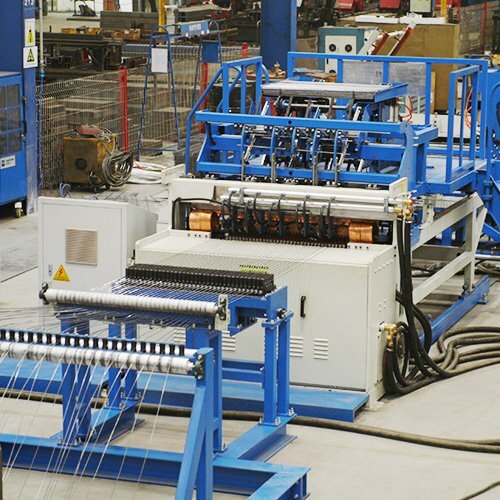 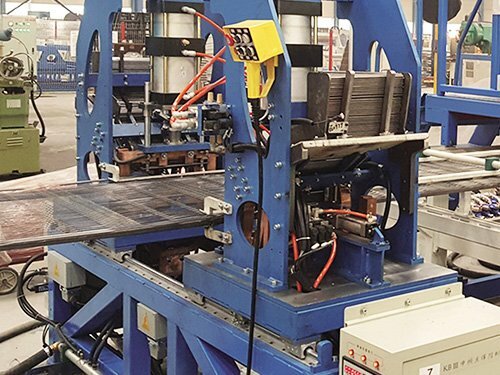 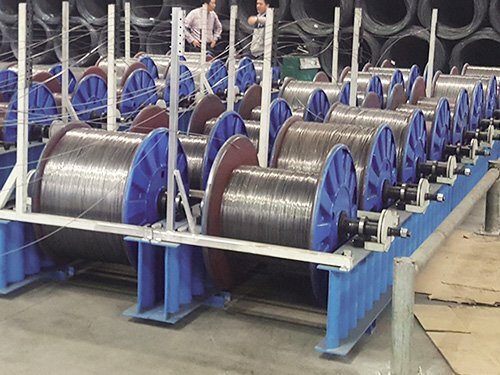 2.Shelves mesh welding production line,Its main features are: to realize the continuous production of shelves network, the production efficiency is higher than traditional pendulum wire more than ten times. 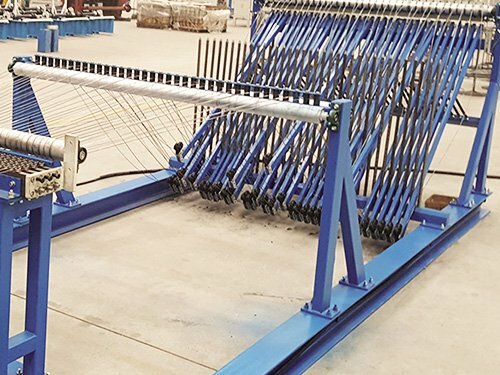 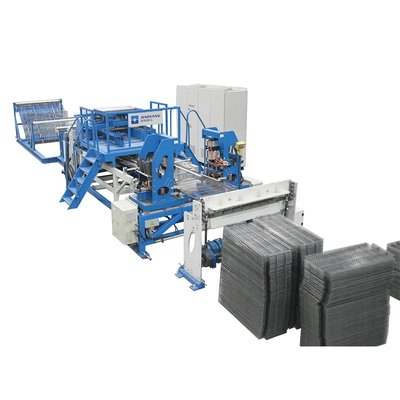 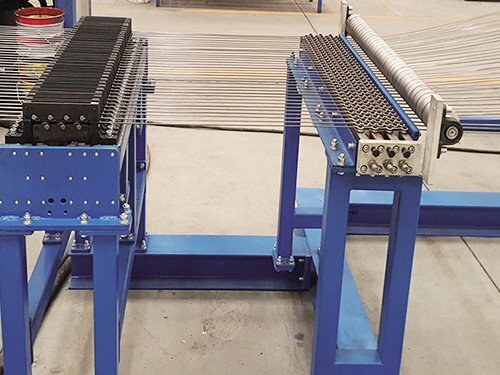 1.The vertical line feed is mainly composed of the payoff reel, the delay feeding rack, the cross straightening device, the line straightening device. 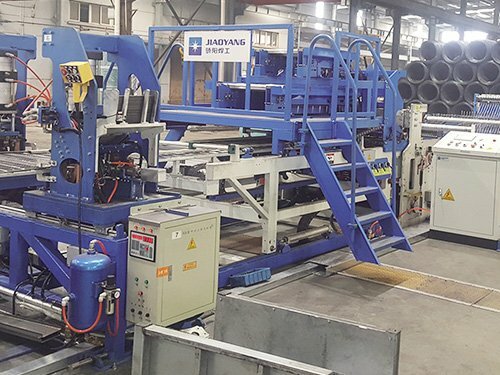 2.Main structure of welding machine mainly consists of rack, power system, welding system, line positioning device, cross alignment device.